A powerful coming-of-age story of love, loss, and hope from the author of A Good American. Setting Free the Kites tells the story of two teenagers, Robert Carter and Nathan Tilly, and the summers that mark turning points in their lives. The boys are unlikely friends: Robert is cautious, reticent, an observer; Nathan is curious, daring, and an eternal optimist. Yet when they meet on the first day of school in their coastal Maine town in 1976, they form a bond that both come to depend on. Their friendship is forged in the crucible of two family tragedies, and together the boys navigate paths away from heartbreak, finding comfort in unexpected places: the blistering crash of rock and roll records, the mysteries of a long-closed paper mill, and kites soaring high above a windswept beach. Nathan’s unflagging confidence is the catalyst for many of their adventures, but as the boys discover, too much hope can be a dangerous thing. When Robert and Nathan take summer jobs at the local rundown amusement park, they make their first forays into a less innocent world. Amid the dilapidated thrill rides and concession stands, they come to understand that all of us keep secrets from the ones we love. In the process, they uncover some unexpected truths about family, desire, and revenge–and, most of all, about themselves. Compelling, heart-breaking, and deeply human, Setting Free the Kites is a funny, moving drama that explores the pain and joy of childhood, and the glories of youthful friendship. 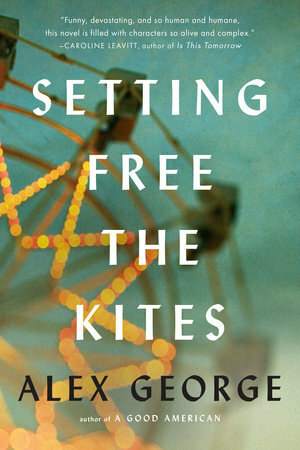 Click here to see what booksellers and authors are saying about Setting Free The Kites. A Good American is a story of immigrant hope. Poignant, funny, and heartbreaking, A Good American is a novel about being an outsider – in your country, in your hometown, and sometimes in your own family. It is a universal story about the families we create and places we call home. 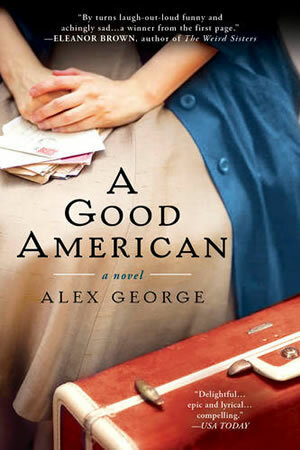 Click here to see what booksellers, authors, and the media are saying about A Good American. Cheaper Than Therapy: In 2013, filmmakers Viktorija Mickute and Varvara Fomina made a short film about the writing of A Good American. Watch it below.